When it’s essential for those to check pulse rate or heart rate, whether they elect to go for a doctor or at home needed to have gears that check pulse rate, but that could be an extra burden, so to rescue an iPhone App has now made life simple for everyone. Now it’s not only an iPhone after installing, ‘Cardio – Touch less Camera Pulse Sensor’, it can monitor heart rate or pulse rate. Now let’s talk about that Application in details that how it works? And how we can use this great App? Whenever you gym, do aerobics or you have some kind of health issues to maintain your heart rate, for that you needed to check your heart rate consistently. HOW Cardiio – Touch less Camera Pulse Sensor Works? And how to use it. 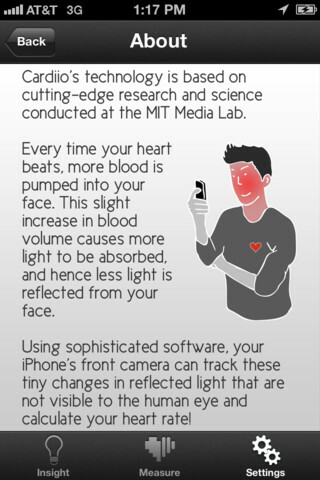 After installation of this application on your iPhone just opens it, the IPhone front on camera scans your face using this application to determine your heart rate or pulse rate. 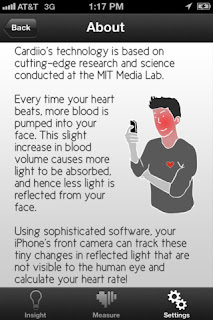 it works because it’s scientific, as the heart rate increases the more blood is pushed towards your face and also the reflection of ambient light of your face decreases on the bases of these differences and reflection’s this app is able to determine your pulse rate within three beats per minute, according to its makers. Always make Sure that your face must be stable no movement, avoid in bright backgrounds, when you are using Cardiio outside not in the shade make Shure that there are not so much sun rays directly dropping on your iPhone Lens of front on camera, and in last always be Guaranteed that hold the iPhone still while the app is scanning your face. The price of cardio is set to $4.99. Cardiio is built for the dual core iOS devices, only supports front on camera, for IPhone 4s, iPad2 and beyond . 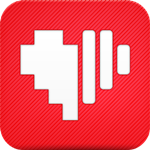 *Using this app on single core devices , the precision may vary. 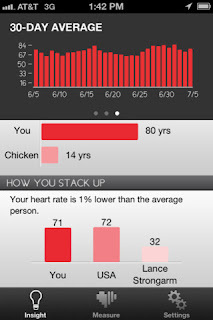 For any additional information visit the official website of Cardiio. 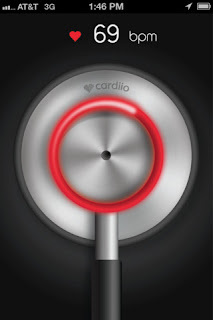 Although precise when used properly, Cardiio is not proposed to diagnose, prevent or treat any condition, or to be a standby for professional medical care. Measurements and statistics are proposed for research, informational and educational purposes only. Application developed by Cardiio, Inc.